A herniated disc occurs when the center tissue between spinal vertebrae tears through its tough exterior tissue-made casing. This phenomenon is also commonly referred to as a ruptured or slipped disc. While some individuals may not experience much discomfort as a result of a herniated disc, others suffer excruciating pain, weakness or numbness as a result of the tear. Symptoms may radiate to the legs, buttocks or arms in some cases. Thankfully, when patients experience physical challenges as a result of herniated discs, solutions may be available. Under certain limited circumstances, only spinal surgery will alleviate symptoms to any significant extent. But at other times, herniated disc treatment can help to minimize or even eliminate certain symptoms caused by this condition. In Chicago, Illinois, herniated disc treatment helps patients who have suffered ruptured discs for a host of reasons. While this condition may be caused by an accident or trauma, it often occurs simply because the tissue that “lives” in between spinal vertebrae dehydrates and becomes less elastic as individuals age. When discs degenerate, tears can happen even when no significant trauma has otherwise affected the body. If you are unsure of whether you have suffered a herniated disc or you have received a definitive diagnosis but are still struggling with active symptoms, please seek out herniated disc treatment in Chicago, IL. Does pain shoot through your neck or spine when you change positions, sneeze, cough or place pressure on certain parts of your body? Does pain shoot from your neck or spine into your arms, legs, shoulders or backside? Do you suffer from weakness or numbness but cannot pinpoint the cause of your struggles? You may benefit from Chicago, IL herniated disc treatment. If you have certain emergent symptoms, you should seek medical care at a hospital immediately. Rare, emergent symptoms include sudden, extreme worsening of chronic symptoms, bowel or bladder dysfunction and a severe loss of sensation in the tissues that would ordinarily touch a saddle if you were riding a horse. But unless you are in need of immediate medical attention, seeking the guidance and support of a Chicago, IL herniated disc treatment specialist at your earliest possible convenience may benefit you significantly. If you are struggling with pain that could indicate that a herniated disc is flaring, please consider scheduling a consultation with an experienced chiropractor today. There is no reason why you should suffer unnecessarily. Seeking herniated disc treatment in Chicago, IL will hopefully help you to achieve both short-term and long-term relief from some of your current symptoms. 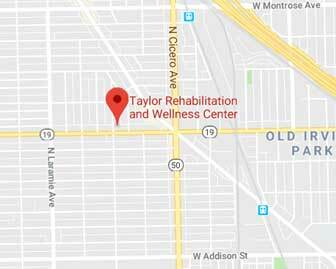 Working with an experienced chiropractor at the Taylor Rehabilitation and Wellness Center will allow you access to the guidance and support you need right now. 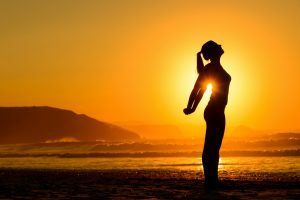 Struggling with chronic pain is not a situation to be taken lightly. Chronic pain affects every aspect of daily life, including relationships, job stability and risk of developing an addiction to pain medications. An experienced chiropractor may be able to help you. Please consider reaching out today to schedule a consultation in order to obtain much-needed relief.